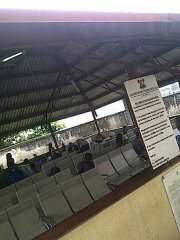 LAGOS HOSPITALS DESERTED ON WORLD MALARIA DAY! The BT Pediatric Ward of the Lagos State University Teaching Hospital was deserted when SPACES FOR CHANGE visited the hospital on WORLD MALARIA DAY, marked every April 24 to assess the progress that has been made in combating malaria globally. The April 24, 2012 visit to the hospital aimed to find out how Lagos hospitals were marking the event, and meeting global targets for malaria control. Unfortunately, the ongoing indefinite strike action by Lagos doctors has crippled healthcare services across the state, frustrating important gains made in reducing the prevalence of infant and maternal mortality in the country. The striking doctors under the aegis of the Medical Guild had earlier suspended a three-day warning strike from April 11-13, 2012 to protest what they called “illegalities in the healthcare system” in Lagos State. 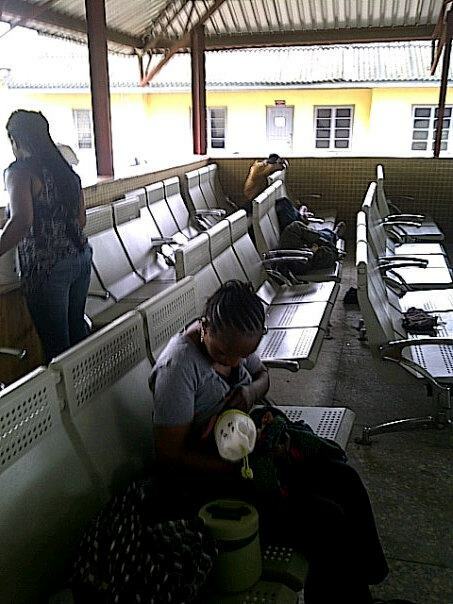 Crying babies, dejected mothers, sick children strolled in an out of the Malaria Prevention and Treatment Unit of the Lagos State University Teaching Hospital without any doctors to attend to them. Matrons assumed the role of doctors as they attended to some of the sick children. Lekan 32, whose 3 month-old baby showed symptoms of hepatitis lamented the absence of doctors. After running series of tests, there was no doctor to analyze test reults and make make proper diagnosis. A visibly angry Mrs. Olusola Taiwo, 30, had waited in vain for more than 3 hours for the doctors to arrive. She told SPACES FOR CHANGE that she could not afford to take her 4-month old coughing baby to a private hospital. She continues to hope the doctors would have a change of heart and return to the hospital. An estimated 655,000 people are afflicted by malaria every year. WHO’s new initiative, T3: Test, Treat, Track, urges malaria-endemic countries and donors to move towards universal access to diagnostic testing and antimalarial treatment, and to build robust malaria surveillance systems. SPACES FOR CHANGE learned about NAFDAC’s Roll-Out Malaria Testing Programme iniatited by the National Food Drugs Administration Regulation Agency where 600 patients will receive free AA + AL (Artemisinin Combination Therapy, used to treat malaria) treatment and treated mosquito nets plus a transportation stipend. PreviousPrevious post:Fitch: Nigeria fuel subsidy report increases chances of reformNextNext post:SUBSIDY PROBE REPORT: DON’T SIT ON THE FENCE. ACT!